When upgrading my ESX 4.1 to ESXi 4.1 cluster, I searched around for different methods to do an unattended / scripted installation on the hosts. I did not want to use Host Profiles, mostly because of the licensing requirement (Enterprise Plus), but also because I’m a big fan of scripting. Everywhere I looked I saw references to using a “Kickstart” script. What is this magical language, I thought, and how can I get in on the action! Kickstart is normally used at sites with many Linux systems, to allow easy installation and consistent configuration of new computer systems. ESXi 4.1 Kickstart Install – WIP – This was a great resource on creating a script, provided by Kendrick Coleman. Scripted install with ESXi – Duncan Epping provides a sample script and some explanation on how to setup the line command to call the script. esxcfg Command Help – A list of esxcfg commands on Eric Siebert’s blog. I found this useful for understanding more about the command structure and what other commands were available. The shared storage connections are handled by PowerShell (which I am more comfortable with) … might be worth a post in of itself. It’s a lab environment – this is why tech support mode is enabled and I’m pointing to the CD-ROM. I heavily commented the script, mostly because I did vSwitch0 first and then copied it to the other vSwitches, but also to reinforce what each command was doing as I wrote it. I think this is a great place to store the script, since I can get access to it any time. Moving forward, I’d probably find a way to add NTP information to the script. It would also be nice to have a method to “roll through” IP addresses incrementally, until a new one is found, so that I could apply this script to multiple hosts without having to modify it each time. Such as to start with 192.168.0.1 for the VMotion IP, and then increment upwards if .1 is used and try .2. 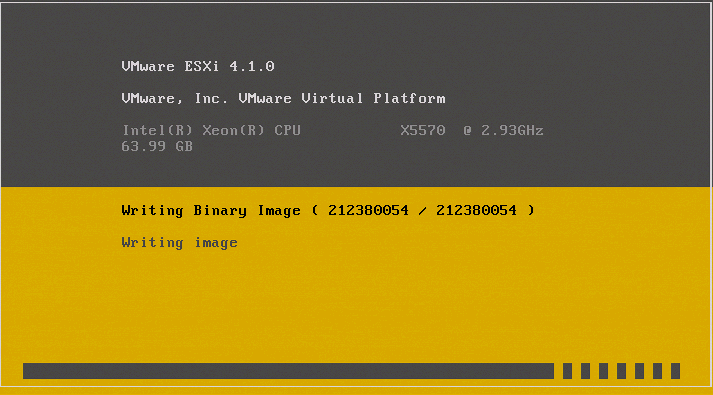 Hopefully anyone who stumbles upon this entry can also get started with Kickstart’ing their ESXi installations.